Whether you are a professional educator or simply a parent with a passion for the Bible, you can learn how to bring the Bible stories to life for your kids. If you love the Bible and the stories are alive to you, you already have a great foundation to make Bible learning fun and easy for your kids too. But you may also find that these helpful tips can take family Bible time to the next level and help your kids instantly connect to your favorite stories too. 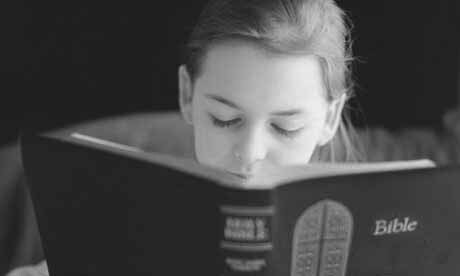 The first and most effective way to engage your kids’ curiosity about the Bible is to show them your own. In other words, when you frequently open your own Bible, reading the stories, making notes, discussing what you are reading with your partner, your kids will naturally wonder what you find so interesting. They may start to ask you questions or want to sit with you while you read. You can then begin to share some of your favorite passages with them and engage them in conversation. You can also look for free sunday school lessons for kids online and use that as a tool to engage your kids, since most kids are always eager for more computer time! There are many ways to present Bible stories that are appropriate to different ages. For the youngest set, soft mobiles and picture books can set a very simple stage for stories they will learn in full later. You can also use family time to view a number of wonderful shows featuring characters like donkey Ollie, which teach classic Bible stories using animals as characters. Many of these shows are in series form, so you can watch different stories over time and discuss them as a family or in Sunday school as a group. Some stories in the Bible feature an all-male cast, while others focus more on conversations between women. This may mean that your children may show more interest in some stories than others depending on what gender they are. One helpful hint to engage both boys and girls in all the stories is to help them grasp that the Bible itself is one big story made up of many chapters. Since many kids do not understand this, they may have a tendency to hone in on just the stories they most easily relate to. Another hint is to help kids find a particular character in the Bible they can easily relate to. One of the simplest ways to engage kids in Bible lessons is to be sure their own Bibles are age and gender-appropriate. This means that the language is simple enough for the child’s reading level and that the presentation is appealing to a girl or a boy. Ella Jensen is the secretary and treasurer of her church. She volunteers as a Sunday school teacher and writes in her free time on ways to carry a positive message to the next generation.